A massive power outage swept over the campus, impacting Opus Hall, Flather Hall, and all of the buildings in Centennial Village this past Sunday, February 11th, shutting off power from approximately 4 AM to 2:15 PM. In addition to the loss of the lights, the outage shut off the HVAC units in dorm rooms, internet WiFi connections, hot water in showers, and even the scanners that allow students to enter their buildings, all of which prohibited students from carrying out their daily activities. Catholic University failed to notify students of the power outage or give updates on the matter until the power was restored. Facilities Administration and Services (FAS) followed the incident up with an email to all students that were affected by the outage after the power turned back on. This email gave no specific details to students about what caused the power to shut off, what the university did to fix the problem, or what actions were being taken to ensure that this would not occur again in the near future. Students expressed their annoyance with the duration of the outage and with the manner in which the school conducted itself regarding communication to students. A sophomore resident of Opus Hall, Ben Gardner, was one of many students who were inconvenienced Sunday morning. Gardner, along with other residents of the affected buildings expressed their frustration with the lack of hot water when showering. Perhaps one of the biggest issues due to the lack of power that was mentioned by residents was that the door scanners at each of the buildings in Centennial Village were out of order, which did not allow students to scan into their buildings. Hall Security Assistants, the students that sit at the desks in each building to sign in guests, were asked to go to their assigned buildings to let residents in from the rain while the doors were permanently locked. Although there was cooperation from the student employees, several of these students that went to work that morning expressed their frustration with the disruption to their day. Residents in Centennial Village were surprised by the incident. 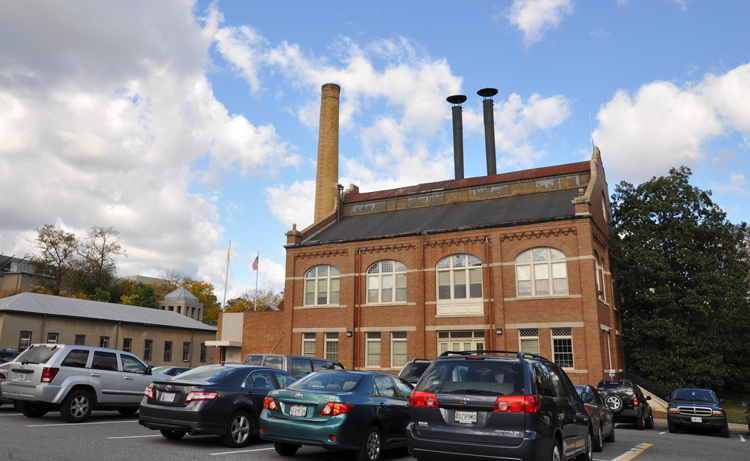 Catholic University of America’s campus-wide energy project, which includes a new twelve-boilers for the power plant, is underway and is being implemented to improve the efficiency of the power distributed. Students are questioning whether this change and work on the campus could have contributed to the lengthy power outage. The Sunday afternoon incident is not the only power outage that the campus has seen recently, however. Freshmen students experienced multiple brief power outages in their Learning Community classes in Gibbons Hall and Shahan Hall this week, which also lacked explanation. A power outage in Regan Hall on Tuesday afternoon prevented female students from being able to enter their building and floors. Students at Catholic University are wondering what is causing these disturbances, why the University is being unforthcoming with details, and when the next outage will occur. *2/22 UPDATE: The Office of Marketing & Communications has clarified that the outage was not caused by the ongoing energy project, but by a flooded Pepco transformer.